What an embarrassment for Washington State! Action Alert! 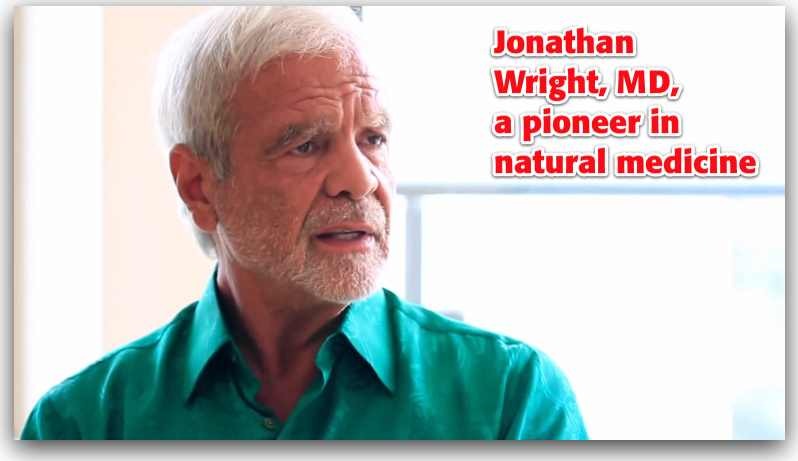 Last month we told you about the administrative hearing that integrative physician and natural health pioneer Jonathan Wright, MD, was subjected to. The Washington State Medical Quality Assurance Commission (MQAC) has been pursuing a decades-long vendetta against Dr. Wright and other integrative physicians. It all seems out of character for a state like Washington with its advanced technology and openness to new ways of living. You’ll recall that the case concerns a medical doctor who had been licensed outside Washington State. He joined Dr. Wright’s Tahoma Clinic under the condition that he apply for a Washington medical license. He did, and the doctor’s Washington license was listed as “pending” on the MQAC website. During this period, Dr. Wright followed legal advice he had received and monitored him closely as required by Washington law. MQAC then charged Dr. Wright with “aiding and abetting the unlicensed practice of medicine” because the doctor’s out-of-state license had been revoked—a fact that at least four MQAC staff members admitted they knew from the beginning, but never put on the MQAC website or told Dr. Wright about. Before last month’s hearing, MQAC requested that five patient files be sent to the commission. Dr. Wright did so, but he redacted the patients’ names, health problems, and treatment to protect their privacy. The point of the case files was to show that Dr. Wright was supervising the out-of-state doctor, a fact that was clearly indicated in the patient files. Redacting the patient-specific information is completely proper and legal. Would anyone want their private medical information to be reviewed by a state medical board without permission? MQAC complained about the redacted information. Dr. Wright wrote to MQAC asserting his rights to redact the information and pointing to the legal precedent allowing him to do so. Rather than responding to the letter, they simply added new “non-cooperation” charges to his list of supposed offenses. On the day before the hearing, Dr. Wright’s out-of-state lead counsel, a specialist in these matters, experienced some serious medical issues. He emailed the MQAC hearing’s presiding officer, asking for an emergency continuance and supplying all the necessary medical documentation. Lawyers are very courteous with each other as a rule, and such a continuance is common. But in this case it was denied. Dr. Wright also had an in-state attorney, as is usual, though he had not intended to present legal arguments at the hearing. He too asked for a continuance, since it would take him several days to review the extensive case files and get fully up to speed. Nope—the presiding officer only gave him the rest of the day to study. In the end, the out-of-state counsel had to fly to the hearing anyway—against the advice of his own physician. At the beginning of the hearing, in her opening statement, the Assistant AG said the outcome of the hearing will be “automatically appealed.” This is a giant red flag. MQAC is making the decision, so they’re not going to appeal their own decision. If the decision is rendered in favor of Dr. Wright, he certainly won’t appeal! The only reason for an appeal would be if Dr. Wright loses. The Assistant AG’s statement strongly implies that she knows the final decision already and that it will be adverse to Dr. Wright. The ruling will be issued 30 to 45 days after the hearing, which means we’ll likely learn the results by the end of April. If he loses, Dr. Wright will indeed appeal. Instead of an administrative court in which MQAC conducts its own hearing (which makes bias a very strong possibility), his case will be heard by a state superior court. Depending on the decision, it could be appealed further. All of this is, of course, extremely expensive. MQAC knows this. The commission can spend all the public money it wishes, and this is a way to intimidate doctors into admitting some guilt, even when innocent, in order to get a settlement and avoid financial ruin. Jonathan Wright, MD, isn’t about to buckle under this intimidation. He is a champion of natural health. He has developed innovative and successful natural therapies utilizing food, supplements, and lifestyle changes for a host of maladies that conventional medicine cannot cure. Now he needs your help. If you would like to help in his battle against an egregious injustice, we invite you to donate to the Dr. Jonathan Wright Legal Defense Fund. Please give generously. In addition, if you are a Washington resident and have not already done so, please contact your governor and state legislators about MQAC blaming—and threatening Dr. Wright with penalties—for a problem MQAC itself created! Please send your message today!